When you think about Pakistan’s well-known and renowned fashion designers, it reminds you of one of the talented fashion artists of Pakistan Zainab Chottani. Her exclusive work in the fashion line has made her establish a distinct image in the fashion industry. Her fascinating range of apparels includes both the formal and casual attires. Formal wear includes apparels of all kind including the party wear, bridal dresses and other dresses for certain specific occasions. Your choice would meet an excellent match when you try to find it in the exclusive Zainab chottani luxury pret formal dresses collection. No fashion week or Bridal Couture is complete without pretty models donning into the alluring and magnificent dress series by Chottani. She has the art of converting mere fabric into masterpieces. Designs and style hit the new pedestal of the trend that creates a fantastic fusion. She creates a balance of hues with the embellishments over the dress. 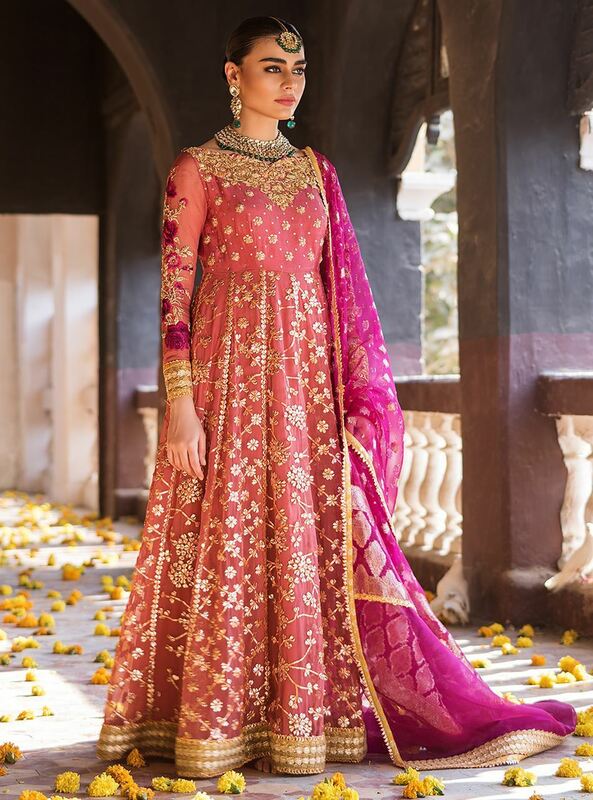 Her clothing line carries all types of apparels, from lehengas to long shirts, angarkha’s, frocks, capes, kurtas and embroidered trousers and much more. Soft and delightful hues are the trademark of her collection, meeting the needs of each season and each trend. The latest party wears formal & luxury pret collection 2019-2020 by Zainab Chottani is out now on her Exclusive outlets. 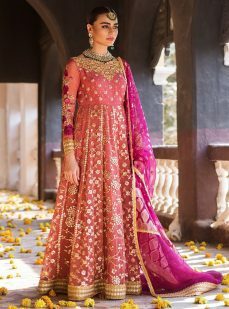 This luxurious pret and party wear formal dresses collection have a beautiful amalgamation of white, pink, maroon, black, silver, beige, gold and blue. Starting with the Cape series of the assortment, the dusty pink cape with loads of embroidery work of pearls, stones, dabka, kora and ribbon looks great for the trendy occasion. 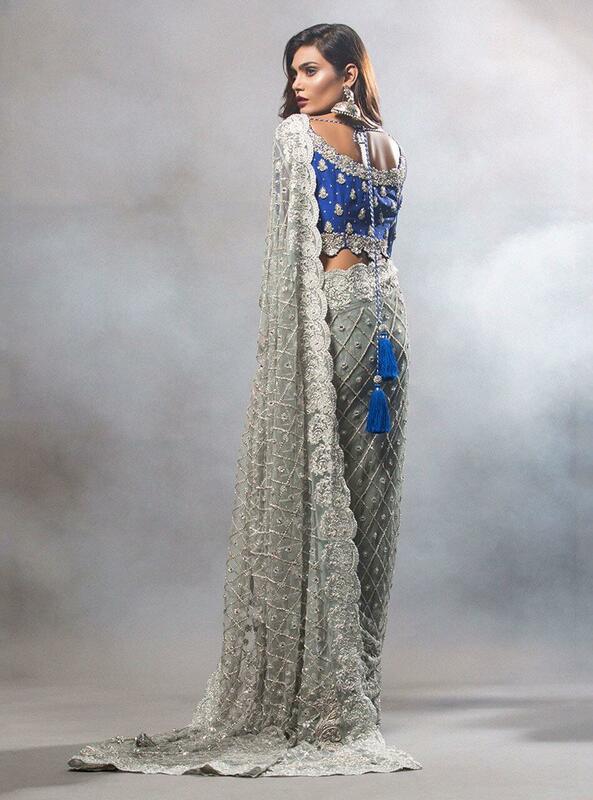 This cape is adorned distinctively with the intricate work over the length of the shirt. You can carry these for formal evening parties. 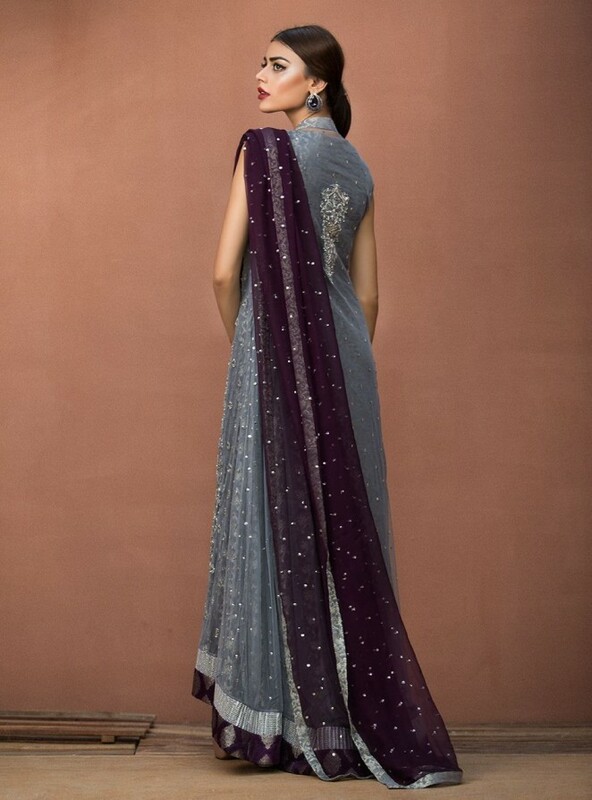 Another masterpiece from the Cape series is the blue one which is beautifully designed and embellished with sequin work. The front is made open with the coat collars. Next in line are the beautiful long shirts with the front cut open, adorned with fabulous embroidery work in gold and ivory over white and grey. 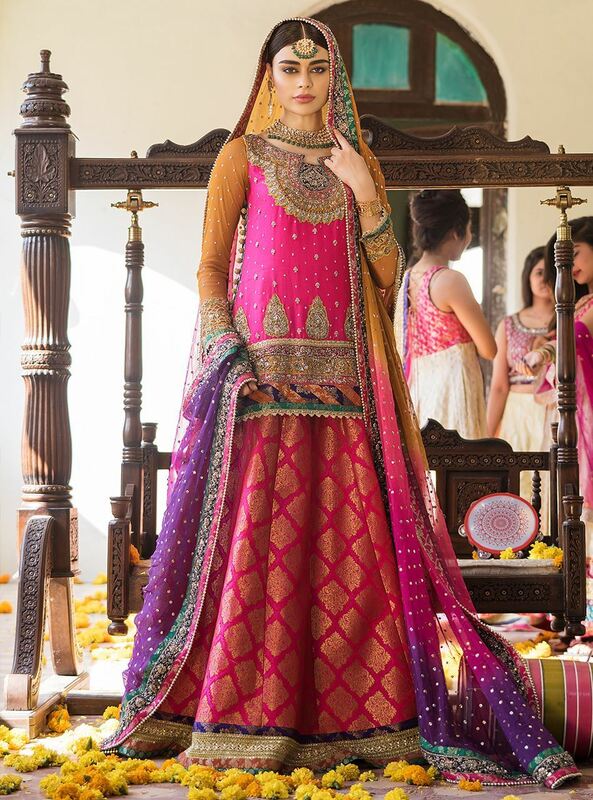 The dress is hued in soft whereas the dupattas carry refreshing hues like pink, lime green and sky blue. These shirts carry the work of dabka and zardozi coupled with sequin work. 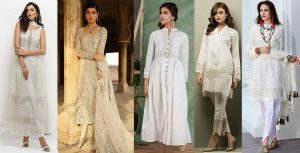 Most of the dresses in this assortment are inspired by the Victorian embroidery given a beautiful finish with the laces at the borders of the shirts. 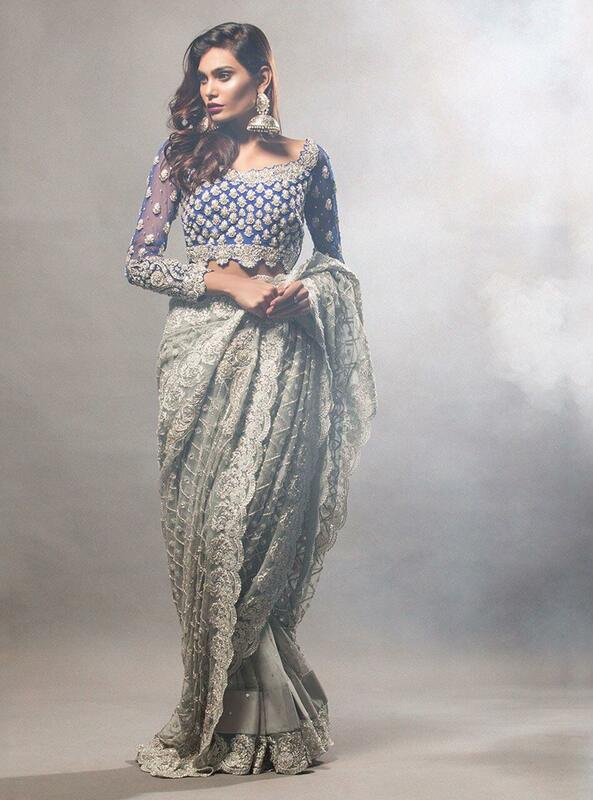 The Zainab chottani luxury pret formal dresses collection is also full of exciting, bold shades in Organza jackets. These jackets carry Victorian inspired embroidery motif on the back, whereas the front has bordered embroidered. These jackets are available in maroon, black, and blue and grey.These jackets have the bunch of cutwork and uber work in stylish, chic style. The latest luxury pret and party wear formal collection by Zainab chottani also gives you the best of the skirt series with tons of flare and stylish tops. These are available in light colours of green, white and grey. 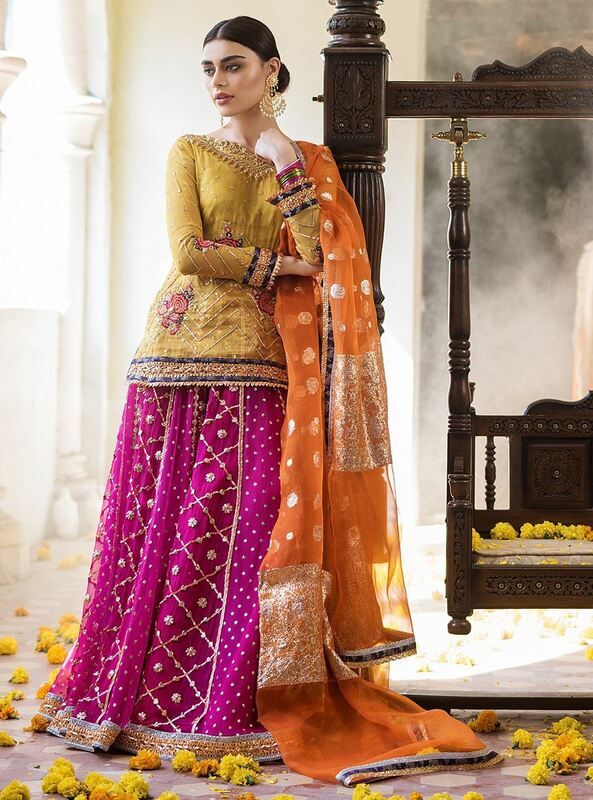 These skirts are adorned with beautiful net laces at the bottom of the skirt whereas the shirts are embellished with lovely cutwork and intricate patterns.